I'm going to Tokyo for work on Saturday, staying until the following Sunday. Are there any sets that i should look out for? I know the first ideas set #21100 was exclusive to Japan so I'll keep an eye out for that. Anything else that I might have a better chance of finding? Limited (and regional) editions of KitKat are a massive thing over there, so you will see really odd flavours, some nice, others awful. Try as many snacks as you can, the Japanese taste palette is so different to the western palette that everything is so different to what you expect. I frequently visited a Toys R Us near where I was staying over there and all in all it was a much nicer experience than visiting a UK Toys R Us (but that might have just been because of all the anime stuff they had) - Unfortunately when I was over there I was in dark age so can't comment on the LEGO. There really are Vending machines everywhere, which is surprisingly useful for tourists just wanting snacks and drinks at odd times. I don't think there's much exclusive really aside from the Tokyo key chain and magnet. (Which I never saw at all when I was there a few years back). I did find a Thanksgiving turkey polybag in the unofficial Lego "Click Brick" Shop in the mall under the main station that was unavailable in the UK. That's worth a visit definitely and if you have kids, there's loads of shops down there selling merchandise relating to cute cartoon characters. Plus Baumkuchen shops! (it's very tasty). There was a big toy shop called Hakuhinkan in the Ginza district that had some older sets at the time too. I never saw either of the CuuSoo original sets when I was there, in any toy shop, and like I say this was a few years ago. Hope this helps. Obviously some things may have changed since I was there, but it's a start! Ahhhh the Kitkats!! So many weird and wonderful flavours! Re vending machines, the LDC had some which dispensed CMFs, back as far as series 2! And they had been long gone for ages! My haul of tasty treats from my trip. Those yuzu crisp stick things were so deeelish. 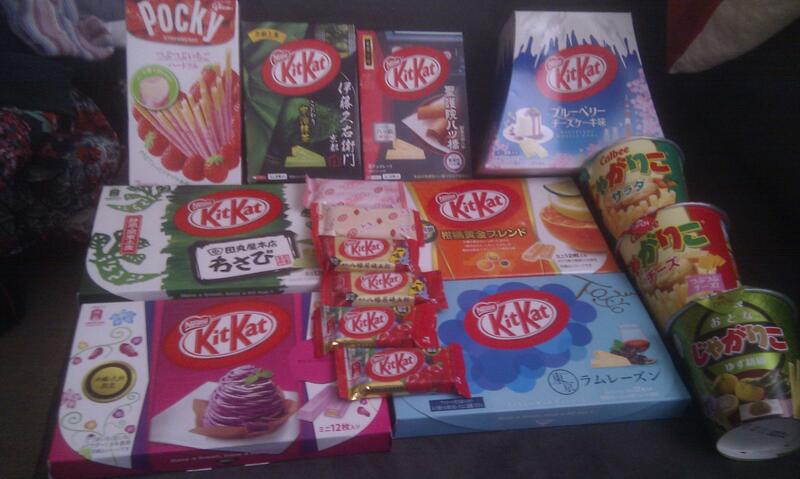 amazing, who would have guessed kitkat would be such a big thing. I am planning to go to at least one clickbrick. There are 2 new stores opening when I am there and both have opening week offers. The prices seem to be about the same as here so no massive bargains to be had. The only thing I did notice was the #60098 train is about £85 on amazon which is ok but not worth lugging halfway round the world. I wonder if lego has much presence in Akihabara? I was hoping the retro scene would have flowed over into lego. If you are looking for Lego go to BIC Camera and Yodabashi. BIC gives tax free and 6% discount if you charge with VISA. Prices of Lego in Japan is very good. Quiet a lot of sets are cheapest in the world. If anyone is missing the strange flavour kitkats, Cybercandy have carried many of them over the years. It's where I used to get my green tea ones & the like. The last time I was in Tokyo was May 2013, and I too was hoping Akihabara would have some good Lego finds, but no dice. Only saw a few Lego related goods, like Lego phone covers and the like. I do reccommend Akihabara anyway as the whole district is fun, but hopefully the Lego situation there has changed to be more like you were thinking as it would be a great place for it! Have fun on your trip! So far I have a few things that I would have bought in a flash at the price in the UK but don't want to fill my case with Lego yet. Heavy train for £85, villa savoye for under £30, birds for about £25, technic race car about £45. Lots of things are slightly cheaper than the UK but not worth carrying halfway round the world. I am going to find out how much shipping by sea would be for a big box if Lego buys. It might be worth me doing that if I want some of the bigger sets. I have managed to bag a 70172 for £45 and a villa savoye for £35. Bought a couple of named bricks for my family too. Now to work out how to get it all on the plane. I live in Japan and can tell you non-licensed LEGO is cheap here. shipping is like travel (ridiculously expensive). 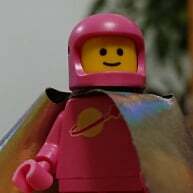 What stores sell lego for a good price? I visited Japan recently and only stopped in at BIC Camera and the like but the prices for lego didn't seem particularly appealing. My observation was that it wasn't stupidly cheap and I went to several toy stores, clickbrick and BIC Camera. The architecture sets seemed to be the best value. However, this was in the more commercial areas of Tokyo. I assume that it is like London in that the central area is much more expensive than going further afield. To name just a few. Trains are usually really cheap even when they are first released....I think the Heavy Haul I got for like $140 or $150 on release day. They tend to release city sets weeks or months before everywhere else here too. Yeah I wanted to get to a toysrus but couldn't. Some of the online prices were great. 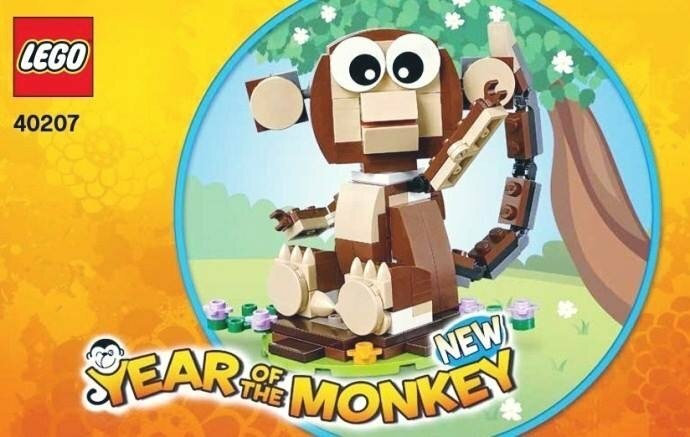 AFOLs in Asia, when do the Lunar New Year sets normally go out: during Christmas season or after it? All I have heard is within the next month or 2. LEGO is so cheap for Americans in Japan now (and Canada too) because both currencies have collapsed against the U.S. dollar. It was barely two years ago that 100¥=$1, now it's more like 80¥=$1. ^And it's going to grow even more with the USD climbing and climbing. I predict by end of 2017, JPY to USD will be ~70¥:$1 the Euros to USD will be flipped 0.95:$1 (guessing parity in Q2:Q3 time frame after another round of Euro QE). Won't prices adjust in Japan and EU? I thought Lego was already expensive in the EU so the USD exchange rate won't really mean much, especially if we can continually get items at 5-20% off here in the States. It's actually been reversed now for about a year or two, where the EU is cheaper than the US. After conversion at today's rate of €1=$1.08; The EU price is equal to $161.99 after VAT/duties. While the US price still needs tax to be applied, which if applicable in one's state would be 7%-10% more on top of $159.99 so would be $171.19 - 175.99. This myth about the US getting stuff cheaper is now debunked. Add on top the 'No Discount' rule in place here, and certain countries in the EU is now much cheaper even. And its only gonna get worse for us as the USD continues it's climb while everyone else deflates their currency. @ma1234 True for any of the non-licensed themes. Also we don't get the big creator sets anywhere but the brickset stores. they are behind by a year or two usually and those are always overpriced. They came and went in Japan already. Got one on Jan 1st at TRU free with a purchase of 3000 yen. Went back on the 7th and they were gone.